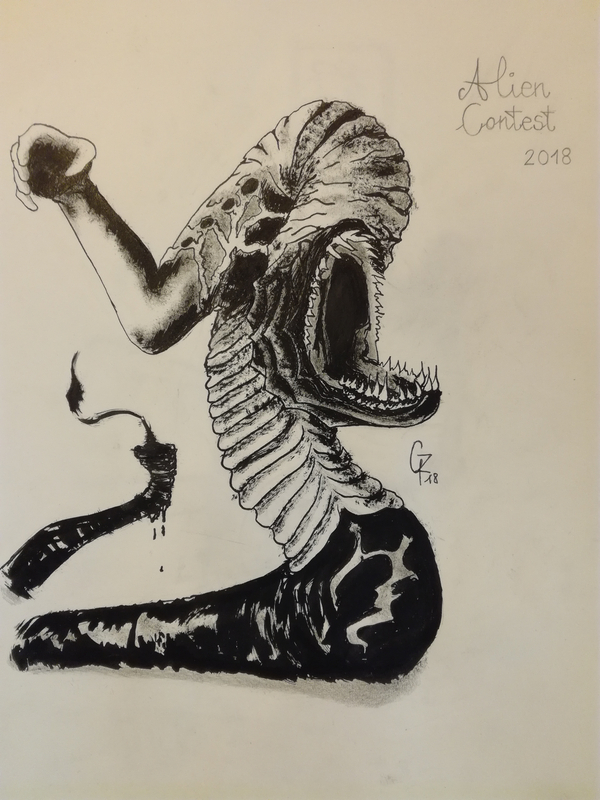 I was thinking of a proper name for this alien I created for this contest, using only black drawing ink on a A4 paper. How to call it? I decided for the Hungarian word "fél": it means half and fear. My idea behind my project was to create something new, something "half", but at he same time evil. And yes, it has no eyes. No need to.